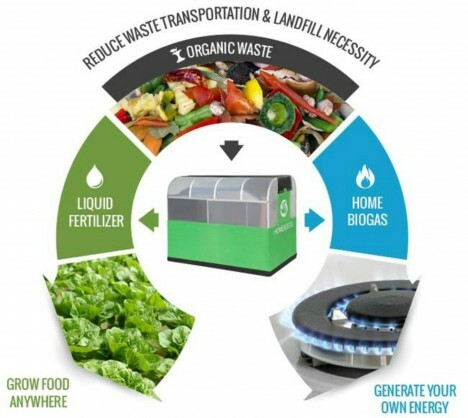 Fueled by crowdfunding and pre-orders, this self-contained domestic waste-repurposing unit can produce enough gas for a 2 to 4 hours of cooking as well as 5 to 8 liters of liquid fertilizer daily, all using organic scraps. 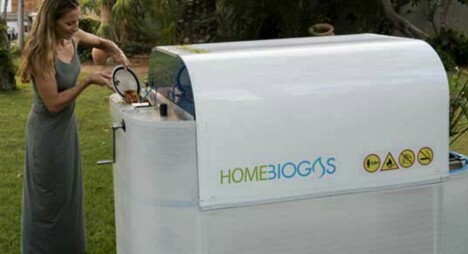 A complete system for sustainable recycling, HomeBiogas is the product of an Israeli startup and aimed at homeowners who want to something faster and more versatile in its outputs than traditional composting provides, using anything from animal waste to kitchen leftovers. 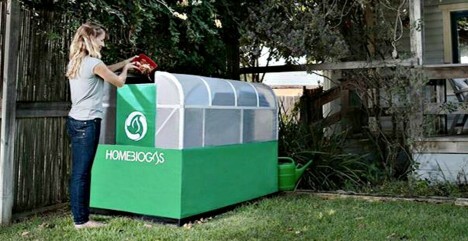 The resulting organic fuel may not power your flying, time-traveling Delorean but it can sure help around the house. While it will work as well in the suburbs as anywhere, the system may have particular appeal for those living off-the-grid in remote places, where bringing in fertilizers and fuels may be costly or difficult and sustainable strategies can save both time and money. The the unit can convert just one kilogram of food waste into about 200 liters (7 cubic feet) of gas, more than enough to fuel an hour’s worth of cooking. At 88 pounds and a few feet long, it isn’t tiny but is still relatively portable (and well-suited to people with rural plots). The retail cost: $1,500 (or $900 presale), but like solar or wind power installations, the presumption is that the system will pay back for itself over time. See more in Energy & Power or under Science. January, 2016.